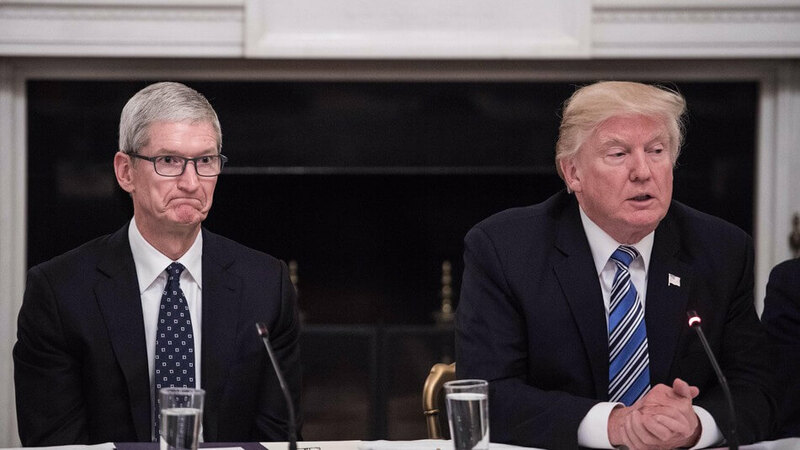 In an interview with The Wall Street Journal, President Trump boasted that Apple CEO Tim Cook called him and committed to build “three big plants, beautiful plants” in the United States. Apple has yet to comment on the statement by Trump. Apple currently manufactures some Macs in Austin, Texas and Fremont, California. Apple employs around 80,000 people and claims it supports about two million jobs in the U.S., including its own employees, suppliers, app developers, and people who make accessories for its products (if that's the case, Google could claim the same thing). It seems that Apple prefers to invest its money into suppliers and manufacturers, not necessarily its own plants. Just last May, Tim Cook revealed that Apple planned to invest $1 billion into boosting manufacturing here in the United States. Of that billion, about $200 million is going to Kentucky-based Corning, makers of the infamous Gorilla Glass. Foxconn, one of the major suppliers of Apple products, is also planning its first factory in the US. It's unclear if that factory will actually make Apple products, but Apple's investment into Foxconn surely helps. From a business perspective, it makes more sense to outsource manufacturing to countries that offer cheap labor such as China. The continuing growth of globalization ensures that materials and labor often are not sourced from one country alone. Furthermore, many large corporations (including Apple) typically bemoan the offshore tax laws imposed by the United States. Apple itself has stated that changes to how overseas profits are taxed would encourage them to repatriate their money, which is a substantial $230 billion, most of which is kept outside the U.S.